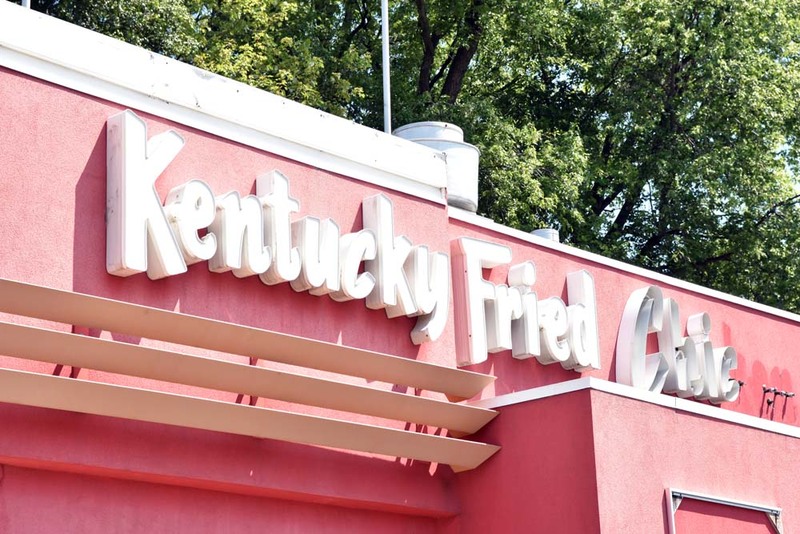 This recently closed fried chicken restaurant is missing part of its sign, so the location is now a place that would fit in with the fashionable crowds at the Mink Mile along Bloor Street. Tres chic, mon ami. 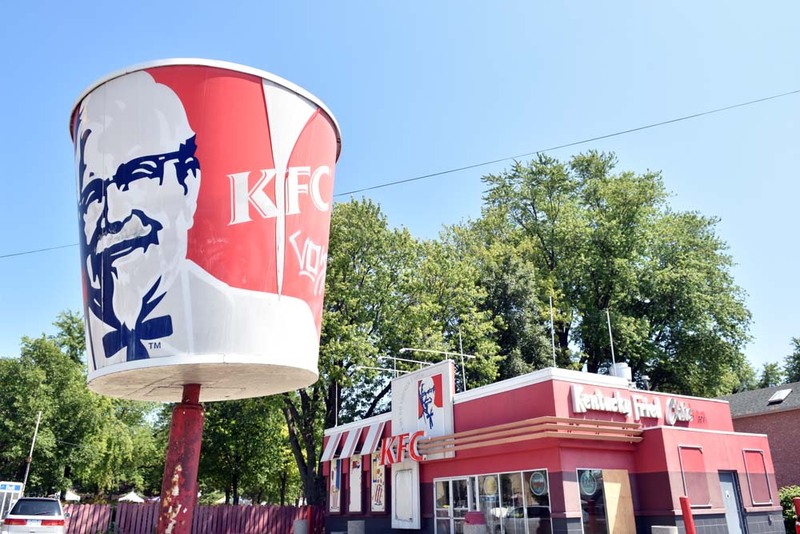 The old, weathered Colonel still grins out to the world from his perch high above the street on his big bucket sign. I always hoped that the bucket was full of big, plastic fried chicken parts and if you ever complained to the staff, they would take off their white gloves, slap your face and challenge you to a duel! Working at the restaurant you would also have to say 'I do declare' and 'well I never' quite often. Located at the crossroads of the Danforth, the Toronto location is 3359 Danforth Avenue at Byng Avenue. 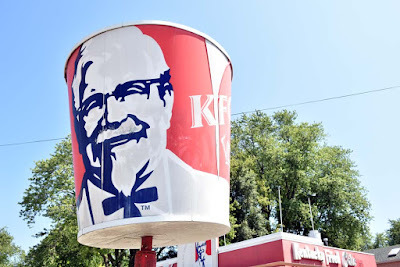 Hmmmm, finger lickin' good.